Now you can follow us on instagram too...search for 'cults_tennis'! Road to Wimbledon - the forms are out.....sign up today HERE! Junior coaching - the junior coaching forms for April to June are now available on the junior coaching page which can be found here! Winter box leagues - Dave Holland has now taken over the running of the box leagues. Please contact Dave Holland at davidmholland@gmail.com if you would like to take part ASAP. 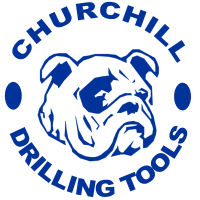 We are delighted to announce that for 2018, we have the continued support of Churchill Drilling Tools, Auriga Training and Brian Adam's Trade Services. For more details and entry form click here! Interested in starting to play tennis? We are delighted to announce that we are running a fantastic introductory membership offer that gives new beginners full access to the club for £60....yes that's right only £60!!! To be eligible participants must sign up for the first block of coaching which runs on Sunday nights from 28th April for 10 weeks. For all the details and contact details, please see the attached flyer! The new league season is almost upon us and therefore it is time to dust down those rackets ready for match practice to get us all ready!! We have 6 mens teams & 4 ladies teams competing every Tuesday and Wednesday between April and August! Mens practice begins on Tuesday 12th March, with ladies match practice beginning on Wednesday 13th March. Both sessions will run for 3 weeks by Gareth Rennie, before the easter holidays. Then it is expected the leagues will start post Easter holidays. Hope to see you all on court soon!! !